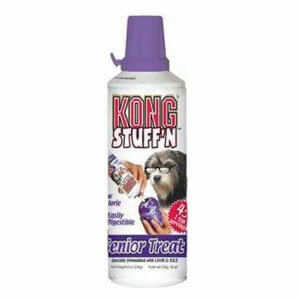 Simply place a small amount of the paste in the inside surface of the KONG toy. The flavoured paste entices your dog to play. Available in a variety of flavours – Liver, Peanut Butter, Puppy – Chicken/Liver, Senior – Lamb/Rice, Mint Flavour.